UPDATE: (9/1/11) I’d be lying if I said it wasn’t tough waiting for confirmation on this story. When I originally reported it all the ay back on April 17, I assumed I’d barely beat the rush of posts on other blogs and message boards. Instead, for the first couple of months, I was out there by myself, as there was no news whatsoever. Today, however, I’m pleased to say official confirmation has finally come from HP, pretty much exactly as I originally reported it, other than a delay on the timeline. 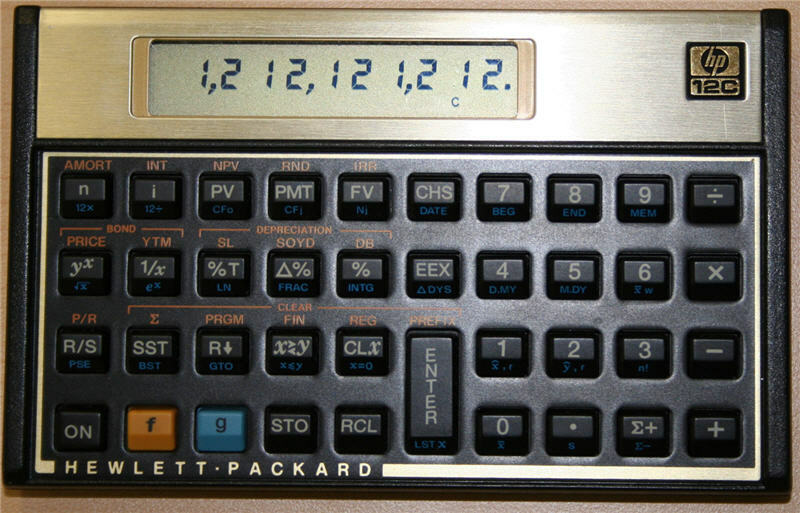 All of you superfans of HP financial calculators can finally pre-order the HP-15C you’ve been petitioning for years, not to mention the HP-12C anniversary edition. Both the HP-15C and HP-12C are available for pre-order on the HP Home and Home Office website. I said I’d have a few more pieces of info to trickle out from the NCTM annual meeting. Here’s one of the most interesting. Most of the calculator news I report tends to be about Casio and Texas Instruments. Frankly, the main reason is that they’ve just been willing to share more information with me. However, Saturday morning at NCTM, I stopped by the Bach Company booth, a distributor for all the major calculator manufacturers. I was having a casual conversation with Bach Company representatives about the Casio and TI products when HP came up, and it quickly became clear they were quite willing to talk about their conversations with HP representatives also in attendance at the conference. The Bach Company reps said HP has a couple of special releases coming up. The first is a special edition release of the HP-12C. While the HP-12C has been in continual production since it’s release in 1981, they have also done special anniversary editions. Expect a special 30th anniversary edition of the HP-12C coming out very soon. The second tidbit the folks from Bach shared with me was more significant. HP has informed Bach that in June, there will be a special limited edition run of the HP-15C. If you’re not familiar with the HP-15C, this reiusse is a really big deal. 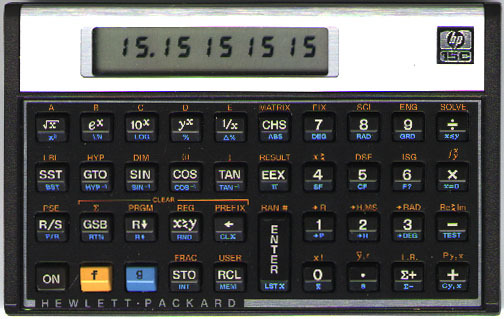 From 1982-1989, Hewlett Packard made the HP-15C. It’s popularity has actually increased since it was discontinued. In fact, it’s been so popular that used 15C’s sell for hundreds of dollars and thousands of individuals have signed online petitions asking for its re-release. Apparently, HP has finally taken notice. I wish I had more details to give you. All The Bach Company representatives could tell me was that it would be a limited run and the release would happen around June. I brought you the story here first all the way back in April, and I’ve been patiently waiting for some sort of confirmation. Until recently, there was none. Suddenly in the last couple of days, there is smoke all over the internet on this story. The HP site in Japan put up photos of the reissue HP-15C a couple of days ago prematurely only to take them right down. Now, the HP-15C is available for pre-order on Cost Central, only adding more fuel to the fire of speculation. Sounds like the official announcement has got to be close. Thanks to all that have commented below.